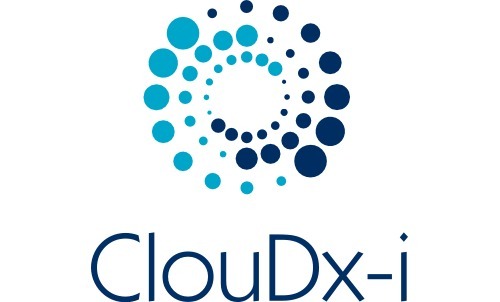 ClouDx-i is a major research project concerned with developing host pathogen response biomarkers for infection and is funded under the EU FP7 Marie Curie Actions IAPP program. Infection is a leading cause of morbidity worldwide and incurs huge economic costs for both patient diagnosis and hospitalisation. Traditional wet-lab culture techniques often do not recognise particular bacterial strains such as the recently identified Campylobacter ureolyticus nor do they incorporate the resulting host response. In silico molecular detection methods flag such biomarkers and can facilitate rapid, efficient and accurate diagnosis. Major challenges in the widespread adoption of such techniques exist due to inter alia their complex computational characteristics, the need for software tools that are usable for both researchers and clinicians and the need for software solutions that are secure and auditable, providing full traceability and provenance of data. Therefore, the principal Scientific & Technological objective is to develop in silico techniques that can support rapid molecular diagnosis of infection and to embed these techniques in an afficient, usable, auditable and secure end to end diagnostic process.